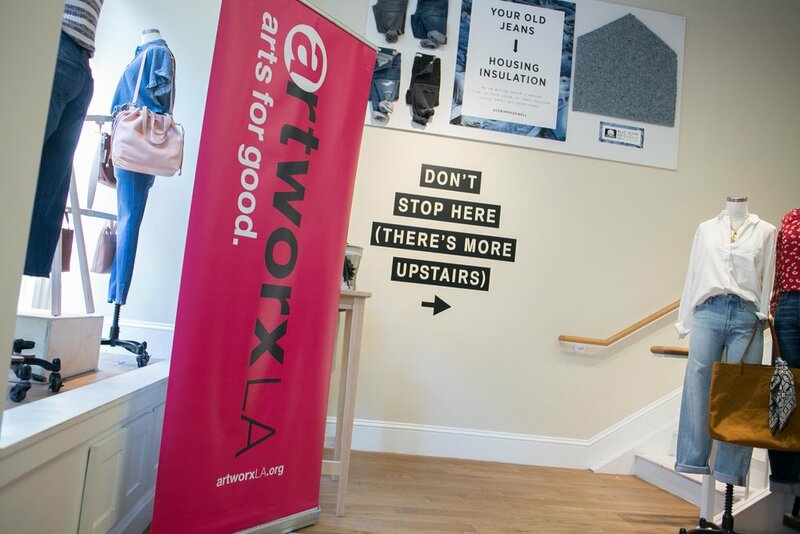 Ahead of our 2017-18 school year, Madewell hosted a summer back to school shopping event with proceeds from sales benefitting artworxLA programs. 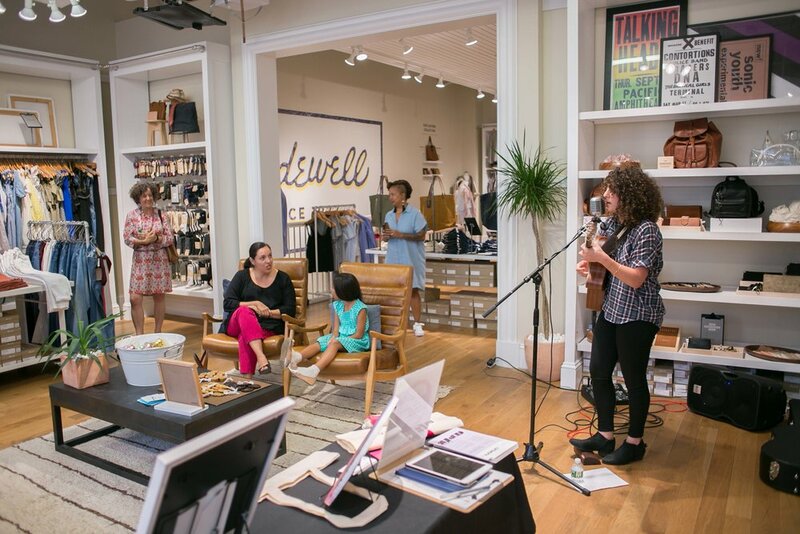 Charmed with a live performance by singer/songwriter and artworxLA Creative Youth Development Coordinator Caroline Ashkar, Madewell guests enjoyed an evening connecting to artworxLA while providing support for our students with each purchase at the register. A big thank you to everyone who came out to support and special thanks to artworxLA Alumna Blanca Martinez for producing the event.